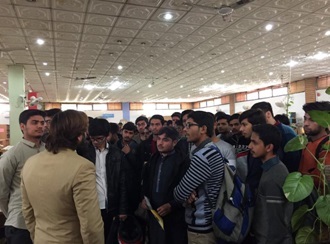 Congratulation to our newly admitted COMSATS students! Library has arranged Orientation Session for New Students which officially begins on Tuesday, February 06, 2018. Library Staff welcomed to new students. Mr. Naveed Siddique, and Fatima Usman briefed to the new library users about library rules, membership, resources and services.